The idea of the sword-wielding samurai, beholden to a strict ethical code and trained in deadly martial arts, dominates popular conceptions of the samurai. As early as the late seventeenth century, they were heavily featured in literature, art, theater, and even comedy, from the Tale of the Heike to the kabuki retellings of the 47 Ronin. This legacy remains with us today in the legendary Akira Kurosawa films, the shoguns of HBO's Westworld, and countless renditions of samurai history in anime, manga, and video games. Acknowledging these common depictions, this book gives readers access to the real samurai as they lived, fought, and served. Much as they capture the modern imagination, the samurai commanded influence over the politics, arts, philosophy and religion of their own time, and ultimately controlled Japan from the fourteenth century until their demise in the mid-nineteenth century. On and off the battlefield, whether charging an enemy on horseback or currying favor at the imperial court, their story is one of adventures and intrigues, heroics and misdeeds, unlikely victories and devastating defeats. 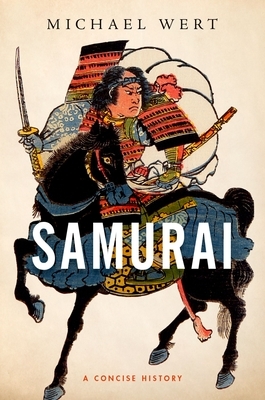 This book traces the samurai throughout this history, exploring their roles in watershed events such as Japan's invasions of Korea at the close of the sixteenth century and the Satsuma Rebellion of 1877. Coming alive in these accounts are the samurai, both famed and ordinary, who shaped Japanese history. Michael Wert is Associate Professor of East Asian History at Marquette University. Specializing in early modern and modern Japan, he is the author of Meiji Restoration Losers: Memory and Tokugawa Supporters in Modern Japan.